One of my friends suggested that I check this place out, so last Friday, a friend and I drove to Toronto to see what it’s all about. The place is called Plaza Latina, and it is a small retail centre that caters to Toronto’s Latin community. 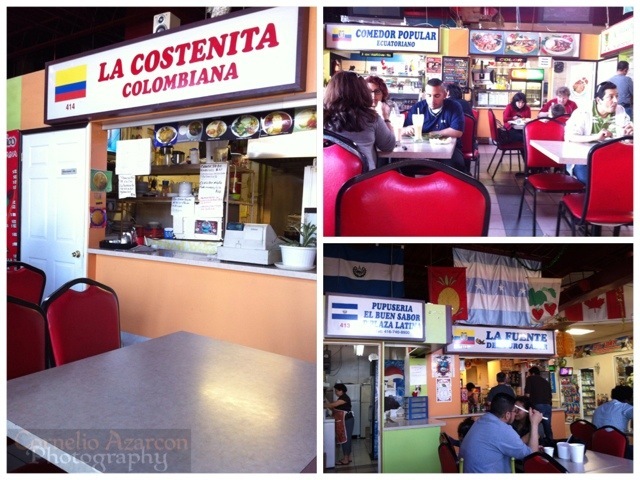 The food court, which was the purpose of this mission, had 8 stalls, consisting of the following: Ecuadorian Cuisine, Peruvian Cuisine, Mexican Cuisine, Colombian Cuisine, El Salvadoran Pupusas, an Ecuadorian Juice Bar, Chilean Cuisine, and Cuban Cuisine. I couldn’t just go with one meal, so to start, I ordered the Ceviche Pescado from the Peruvian stall with a can of Inca Kola to drink, which cost me $14.50 for the entire meal. The cola tasted like cream soda but with a golden colour instead of pinkish/reddish. The fish ceviche was made spicy (non-spicy option available) and was also very sour. It came garnished with lots of onions and cilantro. It also came with half a potato. 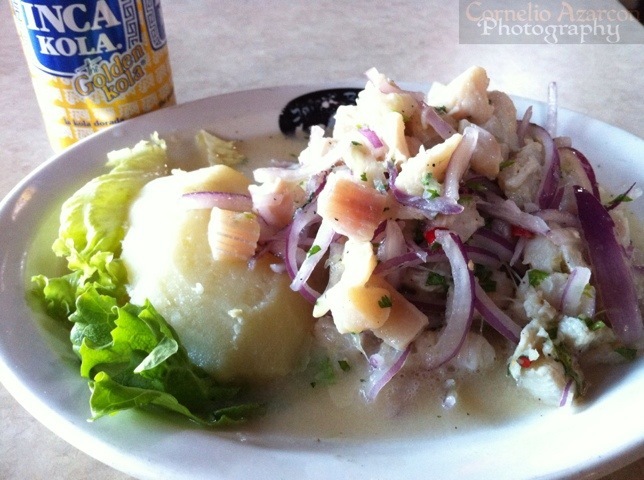 Overall, the meal could have been much more enjoyable if the ceviche wasn’t overly sour. To note, it would help greatly if you speak and understand Spanish. After I finished my meal, I was ready for round two…but what?